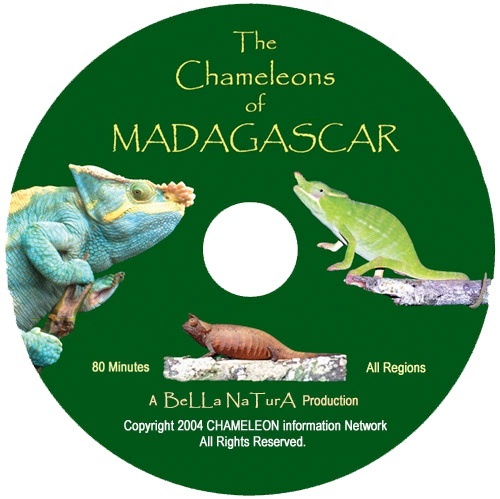 Leave it to the CHAMELEON information Network to produce the only nature documentary to date to include 28 species of chameleons. This is the premier video to own if you would like to see some of the unique species that are present on the island of Madagascar. The shooting of this video spanned a period of six years and totaled over 50 hours of footage. 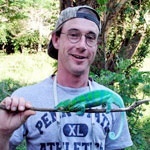 Along with the better known species like Furcifer pardalis, Furcifer oustaleti and Calumma parsonii, some of the rarest species on the island are included. For the first time Calumma gallus, Calumma fallax and Calumma glawi are shown on film. Locales in the video include the Masoala Peninsula, Ranomafana National Park, Itremo, Andasibe, Ampijoroa-Ankarafantsika, Tolongoina, and Ifaty along with many others in the North, South, East and West of Madagascar. 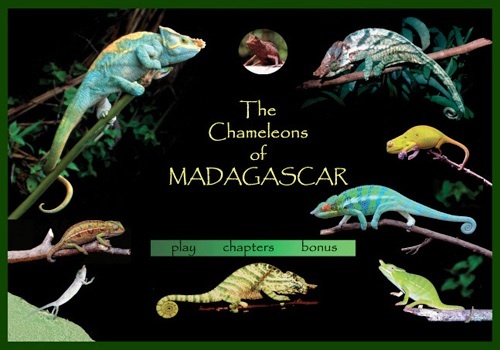 Bonus features on the video are audio in 2 or 5 channel stereo, scene selection, and a bonus material section that contains species scientific names, descriptions, sizes, and range of distribution for the 28 chameleon species featured in the video. Running time is approximately 80 minutes.